One of our all-time favorite trends is, without a doubt, the all-white kitchen. The design’s monochrome element captures an overall clean aesthetic, which is the goal when it comes to one of the most used and abused rooms in your home. While we’re all for keeping it simple—as to not taint the appeal of the whitewashed look—a few complementary accessories are necessary to save the space from seeming overly sterile. Fortunately, it’s extremely easy to style an all-white room with just a few key items. 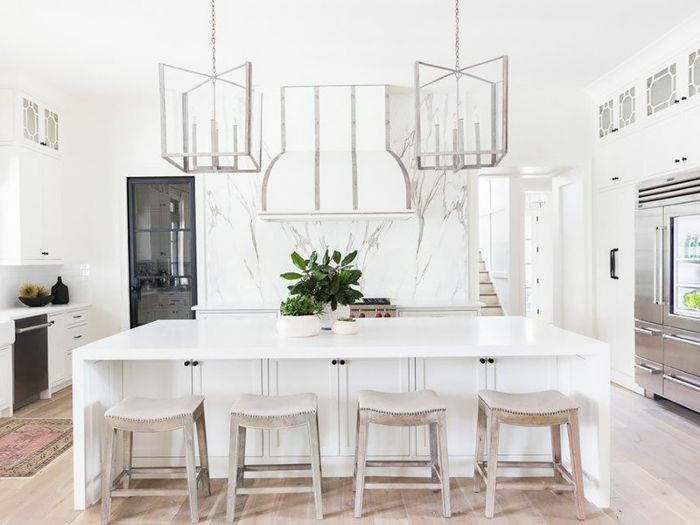 From wood and marble to a pop of color or pattern, just one or two of the following essentials will enhance the element of design without overpowering the look and feel of the all-white approach. 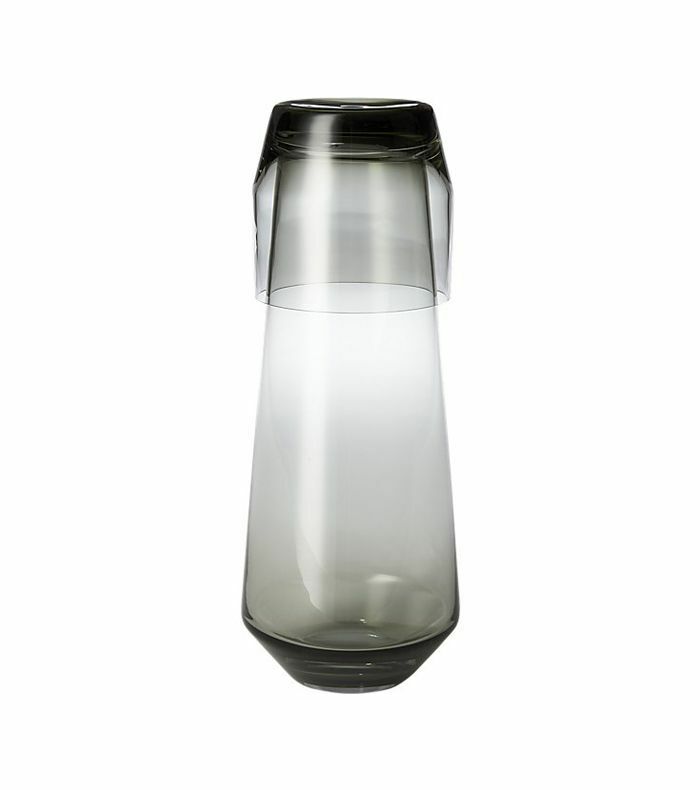 Below, find our favorite accessories to add appeal to an all-white kitchen. 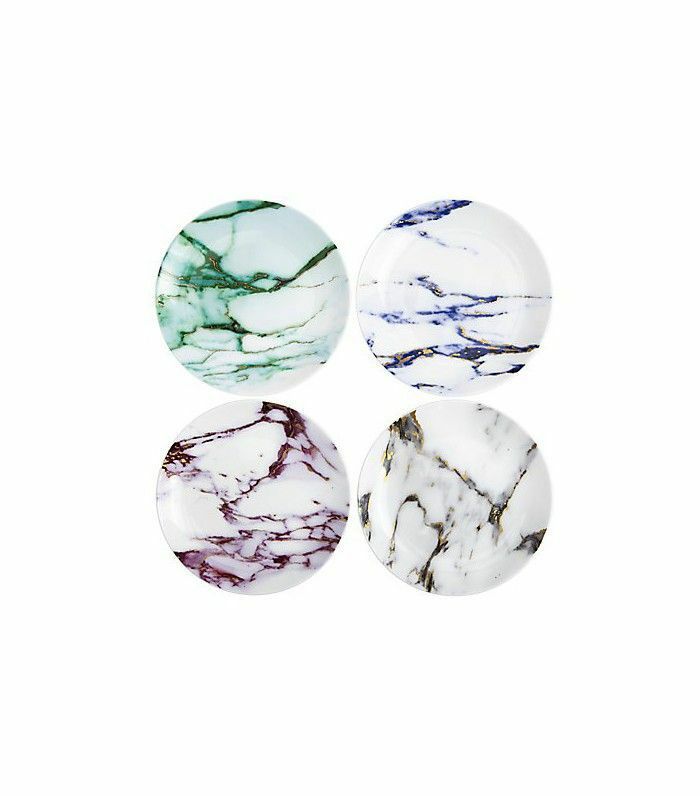 These marbleized dishes provide just enough color to an all-white space while complementing the clean lines and minimalistic appeal. Accents of wood bring an earthy, approachable décor element to a restrained space. 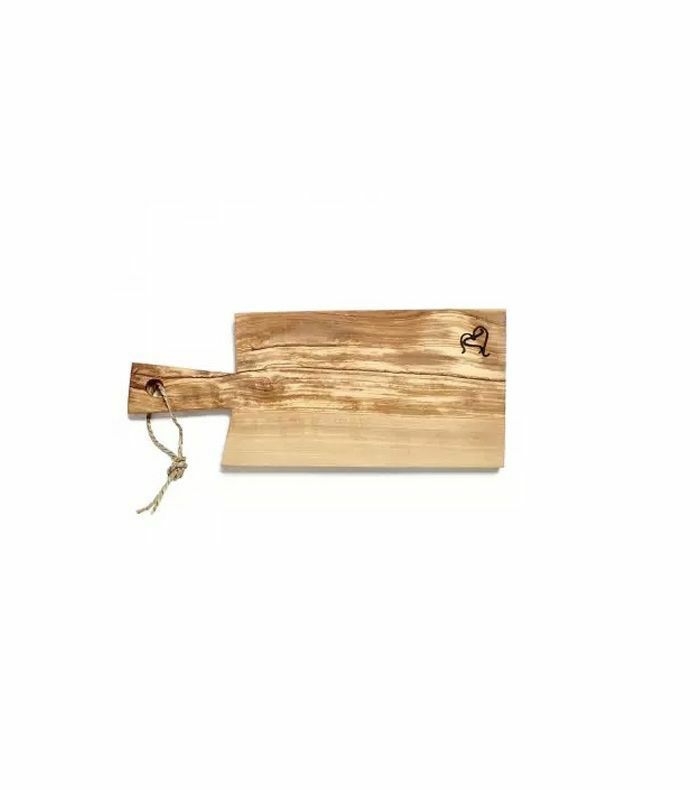 Hang these cutting boards on the walls or situate them on a countertop for a perfectly pleasing contrast. 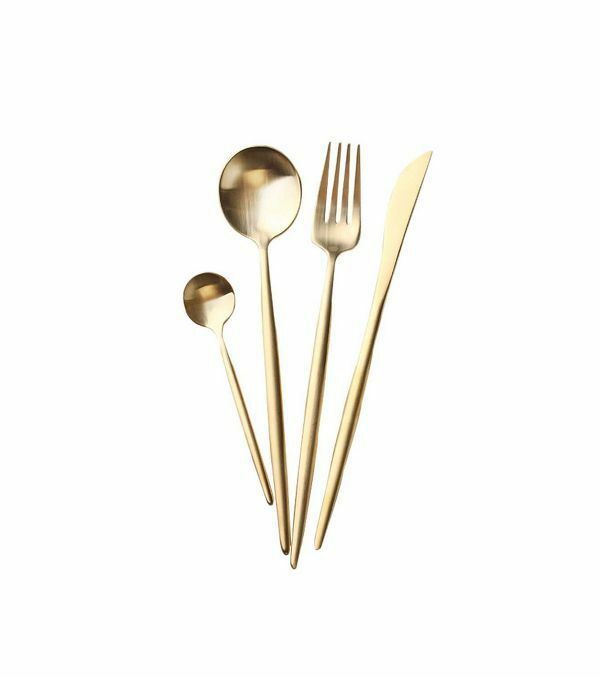 Introducing color and shine through gold flatware gives the minimal space a sophisticated touch. 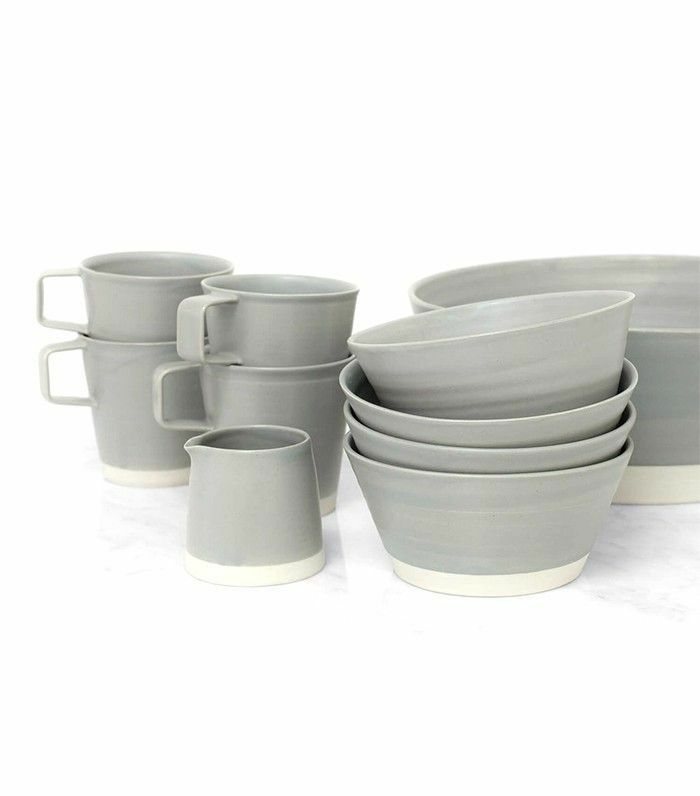 The simplistic design in a rich gray hue only enhances the clean and sophisticated feel of a monochrome kitchen. 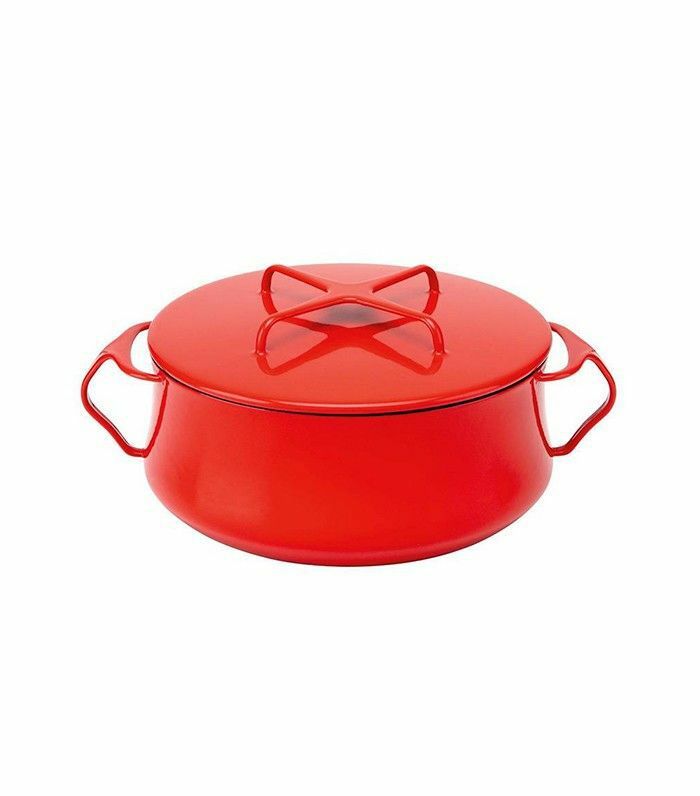 Stationing just one bright pot or pan as a fixture on the countertop or stove gives the overall space an intriguing pop of color that won’t fight the monochrome appeal. 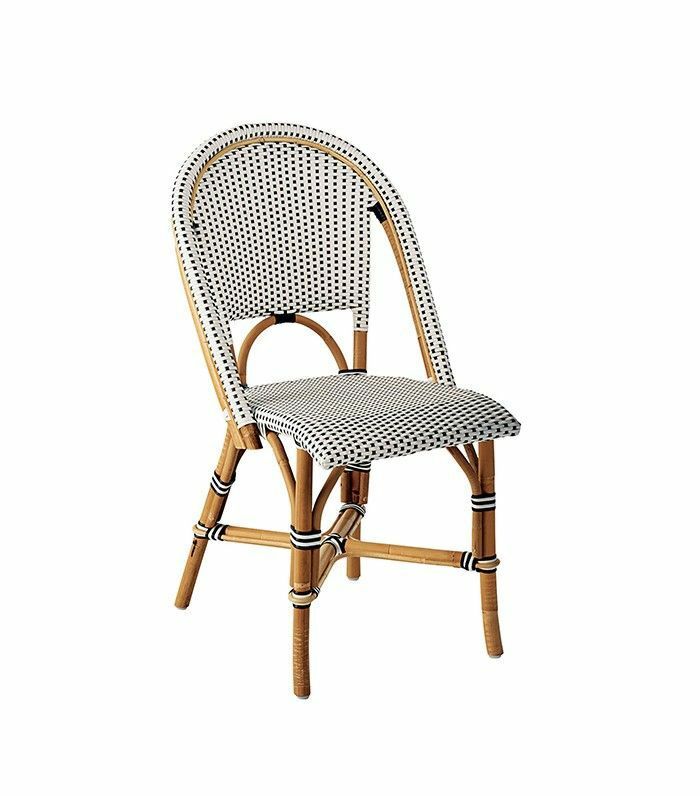 Let this stunner rest on your counter for a chic touch of functionality. Marble is perhaps our favorite pattern and material to pair with an all-white kitchen. 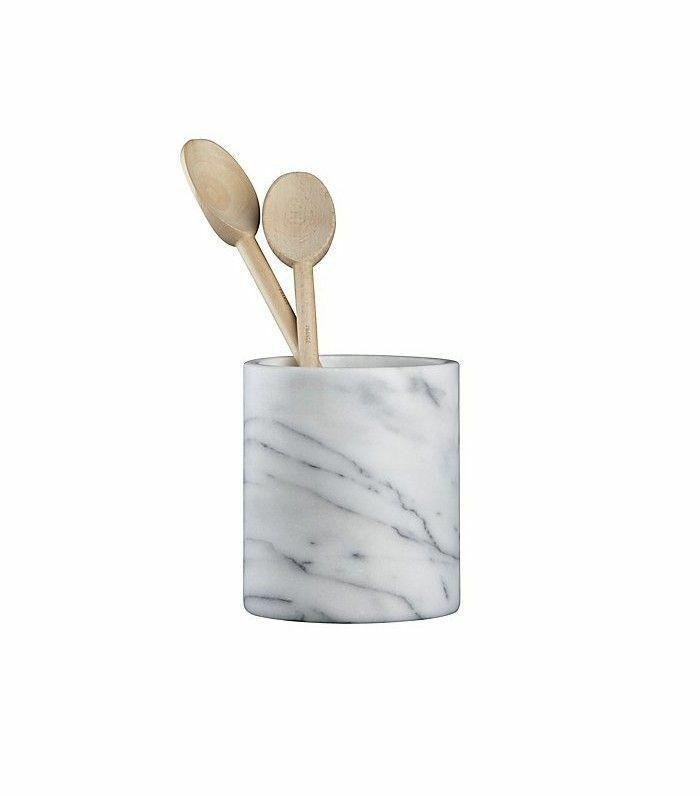 This utensil holder provides a rich but subtle hint of texture. 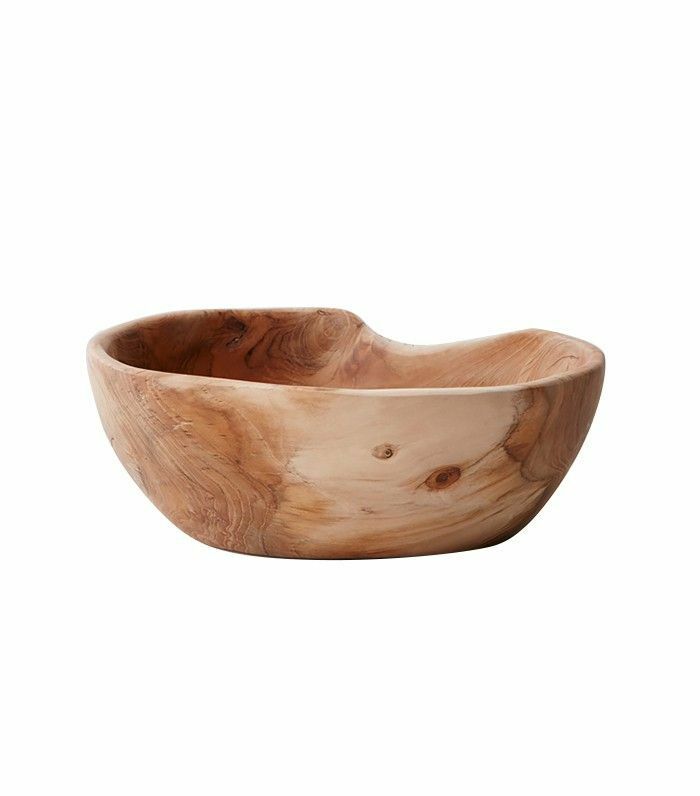 A large teak accessory like this giant wood bowl makes for a seamless addition on the countertop or kitchen table. 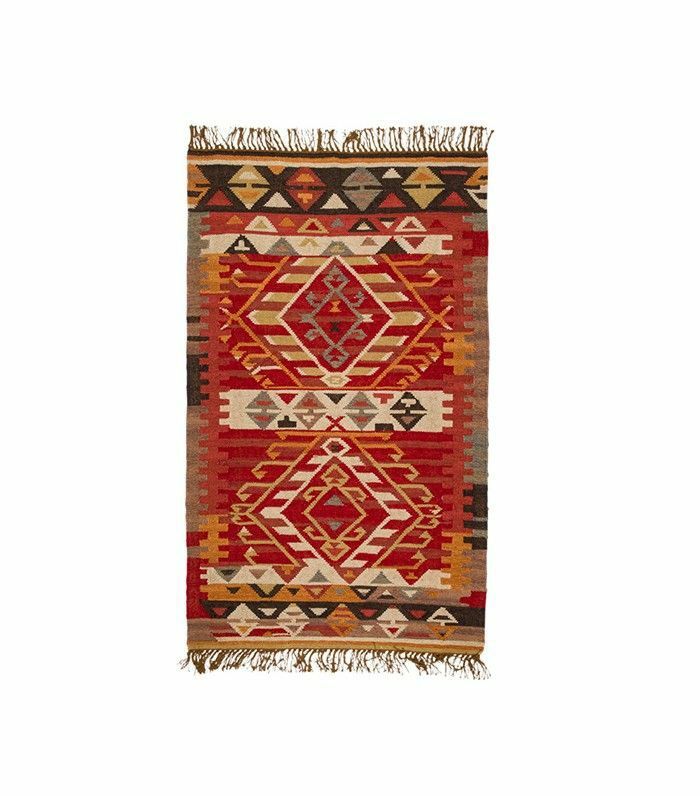 Adding a woven piece with a geometric pattern makes just the right statement without overpowering the entire room. 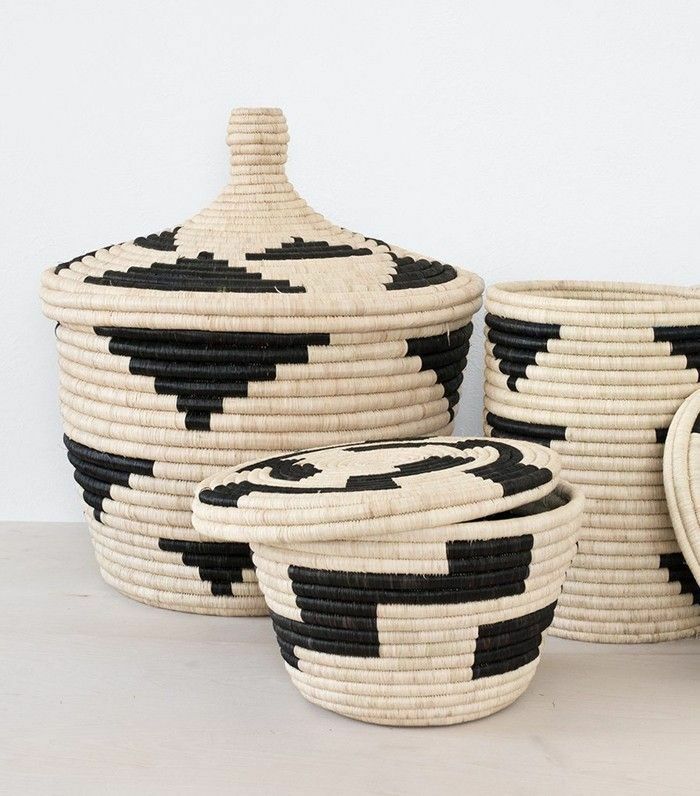 Not only do these handwoven baskets make for décor, but they are perfect for concealing excess storage. 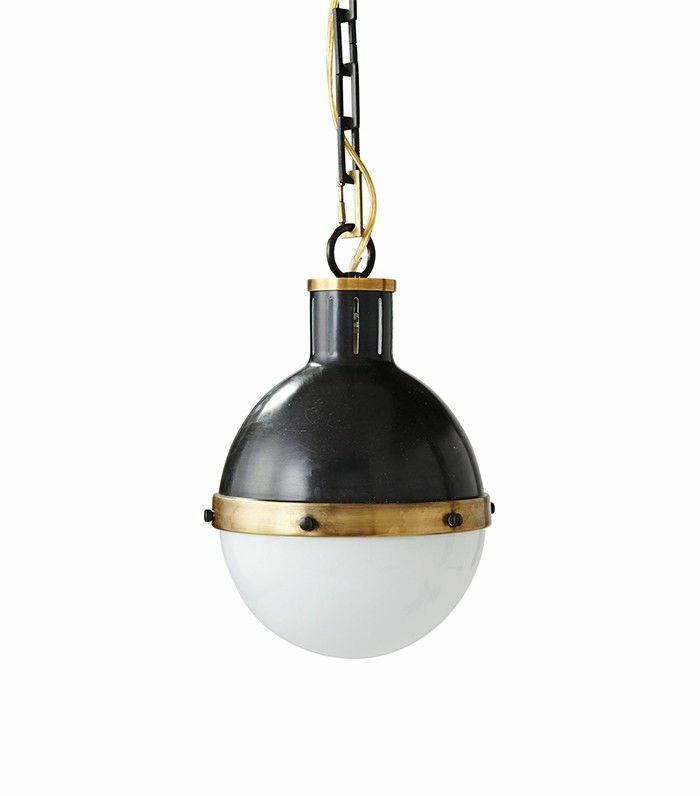 An eye-catching light fixture can be the one and only accessory that gives a simple white space just the touch of décor it requires. 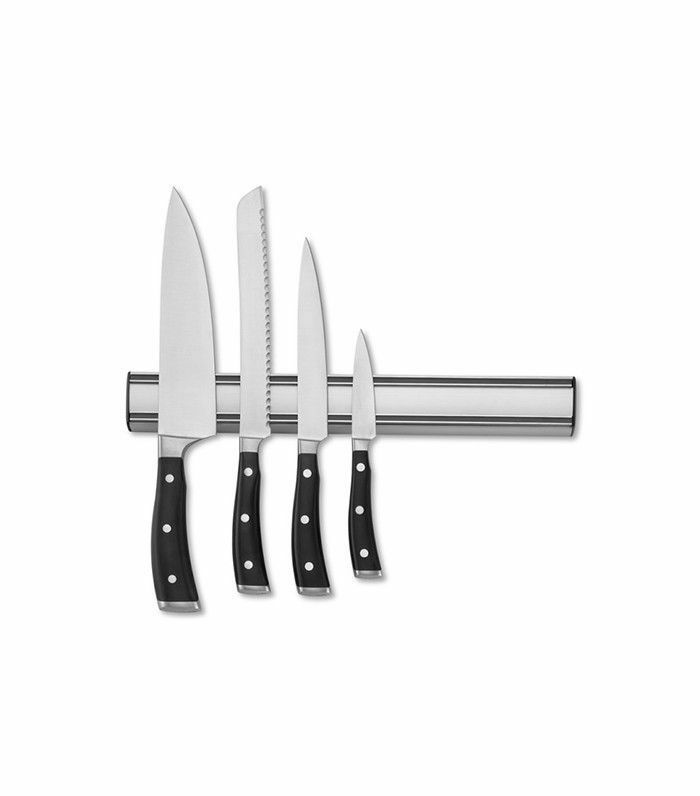 A magnetic bar puts your kitchen products (like these shiny steel knives) to work with an extra hint of modern yet practical décor. 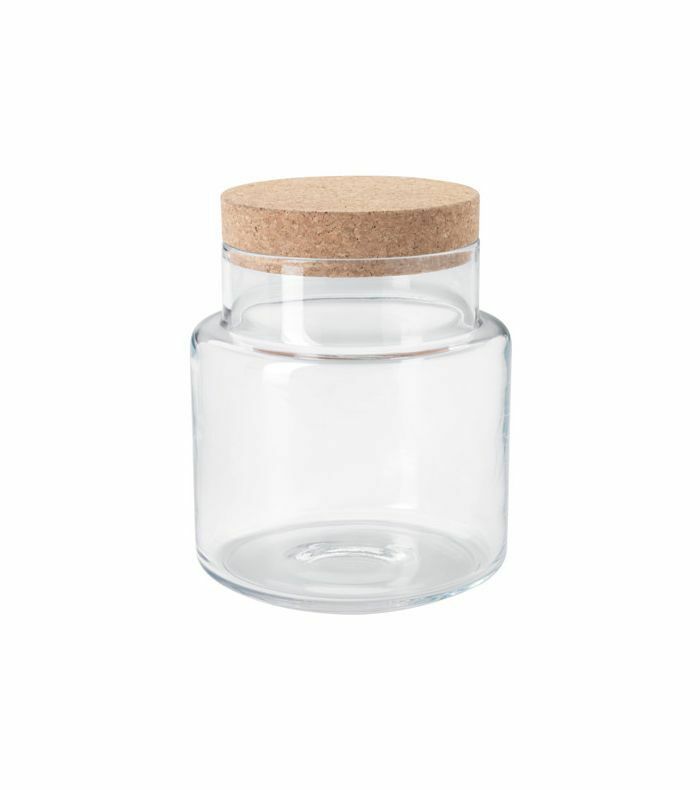 Glass-and-cork canisters organize all your kitchen ingredients and products with a thoughtful and appealing approach. 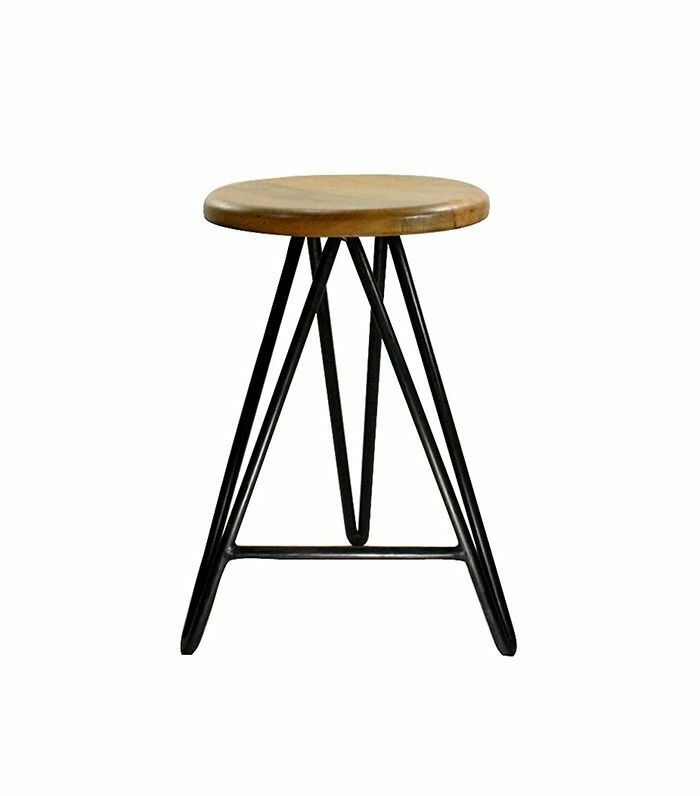 Industrial accessories like this wood-and-iron stool are the perfect juxtaposition of design in a modern, all-white space. Your choice of seating can provide the right touch of pattern or color to the overall look and feel of the space. Just one patterned area rug is the only statement piece you’ll need to introduce an element of design to a clean kitchen. Are you a fan of all-white kitchens? What is your favorite décor item to accessorize with in a monochrome space? This post was originally published on August 30, 2015, and has since been updated.